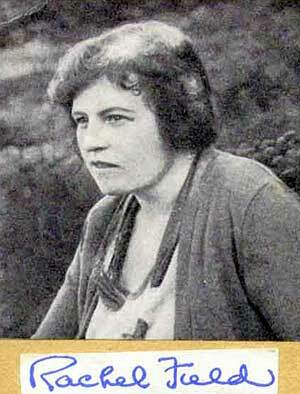 Rachel Field (1894 - 1942) was a novelist, children’s book author, playwright, and poet. Born in New York City, she was the first woman to win the Newbery Award for outstanding children’s fiction. Rachel’s best-known work was probably her novel, All This And Heaven Too, which was made into a film starring Bette Davis. Thank you for having this poem up. It is a lovely reminder of this time of year. One of my favorite poems. The geese were here on the Lake all summer and we took such joy in watching them. Now, early Sept. they all seem to have left. Surely, "something told the wild geese"
I love this poem. When I taught 5th grade, I would have my students memorize it every year. I emember reading Rachel Fields' ork when I was a child, and l loving it. Now I read this and know why--she should be re-discovered...widely. This is my kind of poem. The lake near my house has been home to some Canadian geese. They flew off in a hurry this morning--the weather being a bit brisk for Florida (maybe 65), but still, I wonder where they will go from here. Love the poem.